In Estates - An Intimate History, Lynsey Hanley provides an introduction to the history of council housing set alongside her own interpretations of this period. Interestingly, the author sees this history being as much about how class has reinforced the physical landscape people live in as about the architecture. She points out that some of the first council housing built in the 1890s had their rents set just high enough to "put off all but the best paid working people, attracting instead small businessmen, clerks and artisans". Not a lot has changed. The current incarnation of social housing – “key worker housing” - sees bankers and lawyers living in homes meant for teachers and nurses in Chelsea. Another example of this idea is the author's interpretation of Ebenezer Howard's Garden Cities of Tomorrow (1902) as a radical plan to dismantle capitalism, through "the creation of self-governing, self-sustaining cities in the country" rather than a simple town planning manual. Hanley explains that the Labour Party (which she rightly sees as being committed to working class representation rather than combating capitalism) was responsible for transforming Howard's revolutionary ideas into policies (such as Garden Cities and municipal estates) which helped to hold back revolution. She wonders if the state's subsequent commitment to public housing would have been so sweeping if it hadn't been for the "looming spectre of communism" following the Russian Revolution in 1917. Sadly she doesn't expand on this in greater depth, which is unfortunate, as a greater explanation of Ebenezer Howard's ideas would be very illuminating. Although Hanley describes how, after the Second World War, thousands of homeless service men, and families, had to squat in disused army barracks due to the shortage of housing, she is much more enthusiastic about the intentions of the 1945 Labour government and its Minister of Health, Aneurin Bevan. She points out that his two great passions were the creation of the National Health Service and the right of working class people to live in well-constructed, brick cottages rather than “jerry-built” flats. She considers this to be a reflection of Bevan's belief that people deserved the kind of housing that he and his fellow ministers would be happy living in. Hanley goes on to show that while the Conservative Party competed with Labour during the 1950s with promises to build more houses, there was a significant shift in attitude towards council housing. This shift was from what Hanley describes as “Bevanite idealism” to what she calls “Conservative pragmatism”. Renting a home was perceived as a means to an end, rather than end in itself. She explains that houses built by the Conservatives were up to 20% smaller than those proposed by Bevan and private house building was encouraged as something preferable to mass tenure. She believes this sowed the seeds of doubt for what she describes as “council housing's eventual infamy”. This shift paved the way for the construction of large numbers of tower blocks supported by government subsides which actually gave more money to taller buildings. She goes on to explain how large construction companies poured money into persuading local authorities to use off-the-peg prefabricated systems as a quick and easy way for planners to house large numbers of people, while architects promoted architecture as a weapon of social reform. Though this viewpoint shows that architects, most people's favourite villain, were only partially to blame for tower blocks, she rightly points out that many local authority chief architects wanted to transplant Le Corbusier's Unité d'habitation into their cities, with disastrous results. 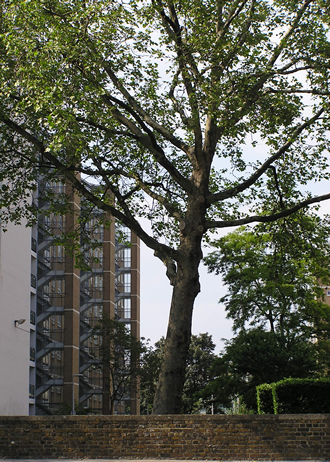 Hanley suggests that it was during this period that tower blocks started to represent, in the public's mind, the embodiment of the failure by local councils to provide the prerequisites for a happy family life. Creating a "lack of choice; dependence and isolation; bureaucracy prioritised over standards; individuals placed at the mercy of a faceless local authority that seams to maintain or leave to rot its housing on a whim” Not forgetting the use of "ugly concrete", of course! Hanley considers council housing to have been one of the great failures of the welfare state because it failed to narrow the gap between rich and poor. Although she points out that when the provision of social housing was at its highest (at almost 50% of tenancies) the gap between the incomes of the richest and poorest in Britain were at their narrowest. Then came the Thatcher years. Whilst we are only now seeing the destruction of the NHS under New Labour, the author describes how the paring back of the welfare state began with the destruction of council housing during the 1980s. Thatcher's "Right to Buy" policy forced councils into selling off their houses to tenants. At the same time councils were prevented from using any of the money raised from these sales to either build new homes or maintain their remaining stock. The declining stock increasingly fell into disrepair. As Hanley points out, this process coincided with the social disintegration resulting from Thatcher's destruction of the UK's industrial base, with up to 60% of adults out of work on some estates. The author shows that living in poor inner city areas or on peripheral council estates can shorten your life by ten years when compared to home owners. The worst off in society have been forced back into the same relative position they were in before council housing first started 100 years ago. Social housing is now principally provided by housing associations, while 72% of households now “own” their own homes. Strangely, Hanley doesn't seem to recognise this as another form of privatisation. She explores in some detail the workings of New Labour's "Housing Choice" policy. This is a policy which gives tenants the choice of either keeping the local authority as their landlord – which then won't receive any funds for improvement - or vote to transfer the ownership of their homes to a housing association, an Arms Length Management Organisation (ALMO) or even a PFI company, which will all receive government funding to upgrade houses. Hanley doesn't appear to see this as council housing's final chapter and evens asks, "what is so great about council housing"? She isn't sure whether New labour's "Housing Choice" policy is the most empowering thing that has happened to council tenants or a cruel and inappropriate misnomer. A crucial weakness of the book is a number of strange interpretations of how people react to living in council housing provided by Hanley from her “personal experiences”. One example of this occurs right at the start of the book when she wonders "if the stigma of coming from a council estate is ever turned to an advantage, and whether that inherent sense of inferiority ever becomes a source of pride". She expresses the view that the anonymity and conformity of the estate on which she grew up on the edge of Birmingham threatened to consume her and that she "never felt free to be the person I knew I was inside". Hanley considers that to be "working class in Britain is .. to have a wall in the head" which creates a feeling of shame because you have lived on a council estate. As someone brought up in a council house, I can say that I never felt ashamed or inferior and I have always been proud of where I came from. So the converse is possible. Council estates can engender a sense of pride and belonging, a point she doesn't appear to tackle. There is some merit, however, in her observation that the policies pursued by Thatcher's government have resulted in her generation being more likely to remain in the same class as their parents, than those born a generation earlier, as indeed I was. She also, rightly, points out that conditions can be so bad on some estates that it makes "people fight themselves or each other, rather than the system, simply because its easier and there's an obvious way to do it". Hanley quotes the architectural critic Jonathan Glancey, who in 2004 said: “The really big question…is whether we can escape from the world of liberal economics, of land that's just up for grabs to be bought and done up and flogged off, of housing as consumption units and cities as utilities for consumption". But she fails to address the questions posed by this statement. While Hanley wants social housing to be "an integrated part of the national housing stock" and given the resources needed to maintain estates for "future generations", she appears unable to see beyond current tenancy relationships (owners, rented housing owned by councils, housing associations or management organisations). She puts too much faith into the faded social democratic idealism of Bevan rather than investigating new solutions. The book would have benefited from an investigation into some of the more radical solutions to providing and maintaining housing that have been tried over the recent 20 to 30 years to see what lessons we could learn for the future. These could have included looking at participatory forms of design, where architects work directly with the occupants of the proposed houses, or co-operative forms of estate management by their tenants, such as the work of the architect Walter Segal, who worked with small self-build housing co-operatives, such as the one in Honour Park, South London and the work by Ralph Erskine at Byker, in Newcastle, in which he tried to bring the architect's services to a wider public in order to demystify the architectural process. While Hanley recognises the influence of class in society and why council housing was provided, she is mistaken in the belief that you can change class structures by just changing the physical environment and greater social integration. Class relationships change when you change society. We need to learn lessons from the past, not just report on them. We need to go further than the limited ambition of Hanley's book and develop new not-for profit, co-operative alternatives to solve our housing crises for both those living in social housing and those who superficially own their homes but are trapped in negative equity and debt. 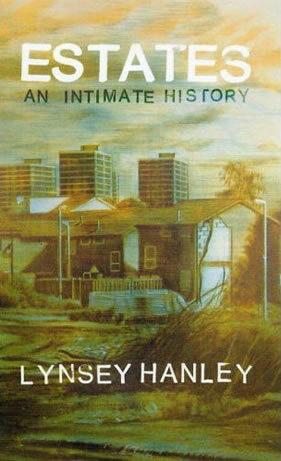 Estates - An Intimate History, Lynsey Hanley. Granta Books 2007, £12.